Given that the microbiome has been linked to everything from weight management to autoimmune diseases, gut health has been grabbing our attention as of late. 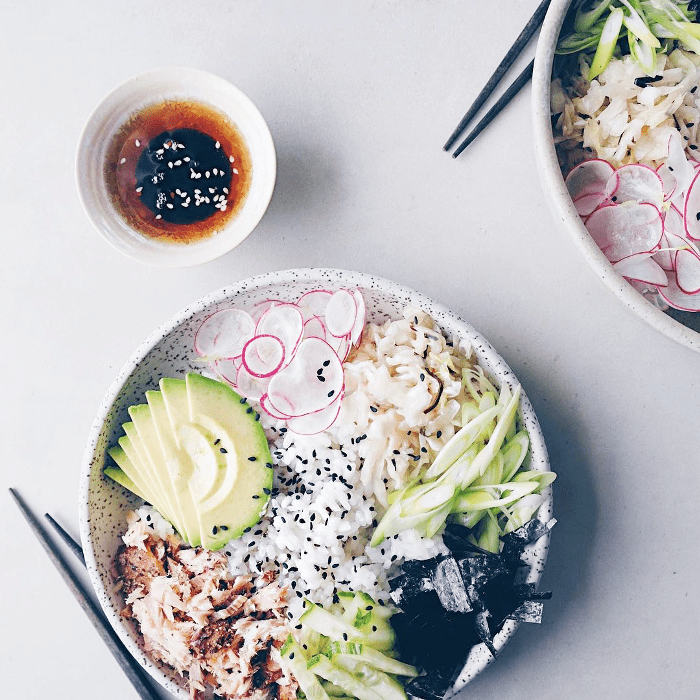 We know that fermented foods like kombucha, sauerkraut, and kimchee can help foster the good bacteria in our stomachs, but a little-known dish out of Japan called ama-koji is now garnering attention stateside. As Mindbodygreen's Liz Moody reports, ama-koji is made of rice, rice koji, and water. While you can buy pre-made rice koji at stores like Whole Foods, it's essentially rice that's been cooked in koji, a fungus that's widespread in Japan. "The [koji] releases enzymes that ferment the rice by decomposing its carbohydrates and proteins," explains The Kitchn. Koji is also what ferments traditional Japanese foods like miso, shoyu, soy sauce, and more. The key is to let the rice, koji rice, and water ferment overnight in your rice cooker at about 140°F. "I achieve that by keeping the rice cooker on the 'warm' setting with the lid ajar but with a dish towel over the top," explains Moody. "Open it up to give it a stir now and then in the first hour or two. I usually leave it like this overnight and then awake to a beautiful aroma." The final product looks like a rice pudding or a nut milk, but it’s "almost painfully sweet to eat or drink alone," Moody adds. She recommends freezing it and blending it with extra water, cocoa powder, or cacao powder and eating it like an ice cream. Finally, "like all fermented food, ama-koji has distinct probiotics that help to populate and soothe your gut." Have you ever tried ama koji? Share your review of the dish below!